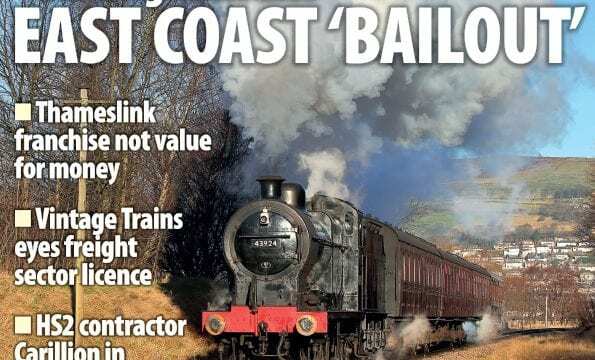 Nottingham station damaged in arson attack, Mallaig line blocked by landslide at Glenfinnan, GWR ‘County’ 4-4-0 replica to be built at Gloucs-Warks, Thameslink contract ‘not value for money’, NR moves quickly after Carillion collapse, TfN strategic plan unveiled. S&D ‘7F’ to move to North Norfolk, Dunrobin needs new driving wheels, two ‘Modified Halls’ for West Somerset gala, new middle cylinder cast for ‘A2’ Blue Peter. Huge Christmas and new year engineering works delivered successfully, Grayling backs mid-Cheshire reopening, Ashford International modified for e320s. First Mk5 overnight stock arrives in Scotland, DRS sells more Class 20s, Class 88s on nuclear traffic. Our regular gallery of the best railway photography. As a new group takes on the project to build a replica GWR ‘County’ 4-4-0, Gary Boyd-Hope explains how they plan to achieve their goal and bring back another long-lost class. 22 Ro-Railers: Ahead of their time? Vehicles capable of working on both rail and road were tested prior to the Second World War, but didn’t catch on. Alan Dale wonders if the idea was too advanced for the technology of the time. Risking detention and a possible international incident, Mark Darby visited eastern Europe in 2017 to photograph powerful ex-Soviet diesels. Find out how he and his companions fared. John Heaton draws together a diverse collection of Practice & Performance logs, embracing the Shanghai Maglev, Class 345s and a recent main line outing with a ‘Deltic’. With the core tunnels under central London due to open in December, Keith Fender visits Crossrail for an update on how construction of the £14.8billion railway is progressing. Ben Jones discovers how Vivarail is transforming redundant District Line trains into ‘upcycled’ new trains for the main line – and testing new forms of propulsion to replace polluting diesels. 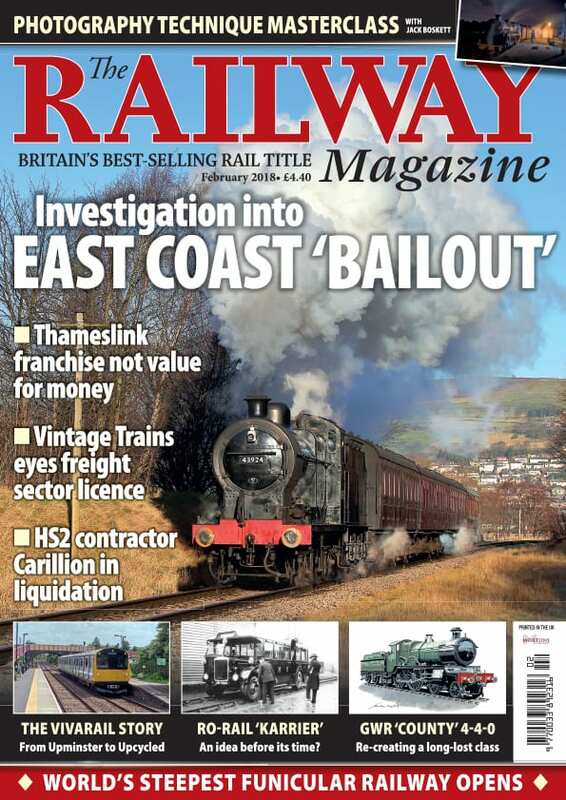 The next issue of The RM is on sale March 7 – order your copy now! Next Post:Will anyone speak up for the rail industry?